Durham Tees to hopefully benefit form an expansion! Home » News » Durham Tees Airport to benefit from expansion. 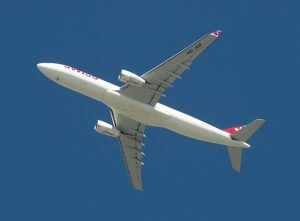 As Chris Grayling, the Transport Secretary announced the government’s active backing of Heathrow’s third runway last week, new flight routes between the Durham Tees Valley and the London based airport are likely to be instated, a complimentary addition to the well established connections DTV already has with Amsterdam’s Schiphol Airport. A prediction from the Department for Transport claims that 260,000 extra passengers will use the route between Durham Tees Valley and Heathrow by 2040 thanks to expansion plans, 100,000 of which will be taking further long haul flights. Sedgefield MP Phil Wilson said: “This is excellent news. It’s something that we have been campaigning for, for a long time. “I always knew it was down to capacity at Heathrow. “And that’s why we’ve always wanted to see a third Heathrow runway. Stockton North MP Alex Cunningham called for Heathrow Airport to make it clear how they will deliver connectivity with the rest of the country. He said: “Now that this decision has been taken, the people behind the Heathrow bid need to make good their commitment to the Regions across our country – and ensure that our airports, including those like Durham Tees Valley which lost its connection to London many years ago, are very much part of the plan and delivery. “Every year since I have been elected to Parliament there have been major infrastructure projects announced and some delivered with the major benefits being derived by people, businesses and industry in the South and South East with the north of the country left detached. Heathrow’s new runway will encourage more daily flights to up and coming markets such as Asia and South America while also facilitating more domestic flights between Heathrow and other larger airports. The third runway is anticipated to provide up to £61 billion in benefits to passengers and the global economy over the next 60 years. Want to keep up to date with all of the Durham Tees Valley Airport information? Follow @Airport_Guides on Twitter and on Facebook for all the news you need to see.